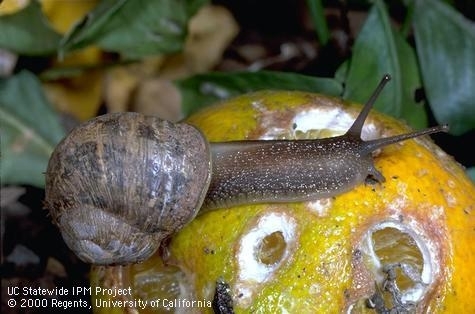 Snails and slugs chew holes in leaves and fruit of many different types of plants, but they aren't always present when the damage is discovered. Caterpillars, earwigs, grasshoppers, weevils, and others cause similar damage. How can you identify the culprit? The short video clip “Did a snail eat my plant?” shows damage caused by various pests and can help you identify snail or slug damage by looking for their characteristic slime trails and excrement. 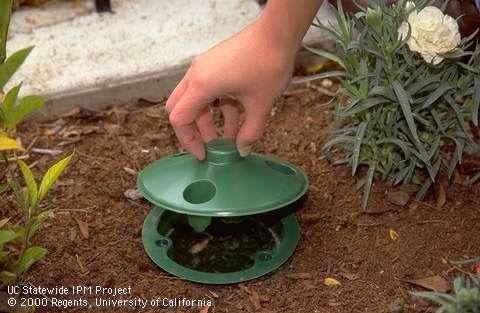 If you do have snails and slugs in the garden and want to control them without using pesticides, learn how to combine trapping with other nonchemical methods for best results in the clip “Trapping snails and slugs.” If you decide to use a pesticide, check out the video on ”How to apply snail and slug bait.” You'll learn what types of baits are best, which ones to avoid, and how and when to apply them for best results. 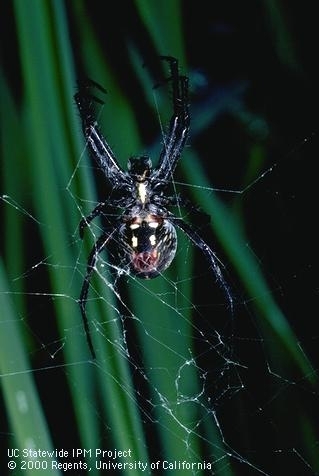 Although many people fear them, most spiders you encounter during the day are harmless and can be beneficial in your garden and landscape by eating pest insects.. You can see different kinds of spiders in the short clip “Common garden spiders.” However beneficial they may be, you might not want them inside your home. Even though the easiest method of getting rid of a spider is to kill it, why not trap it and let it loose outdoors to eat those garden pests? “How to catch a spider” shows several ways to easily trap a spider and let it go, including two types of nifty spider catchers that catch spiders in hard-to-reach places. Now what about those sticky webs? “How to clean up spider webs” shows practical methods for removing webs from around your home such as vacuuming, sealing holes in cracks or screens, hosing them off, or using a Webster tool. These methods can also help to keep spiders out of your home.